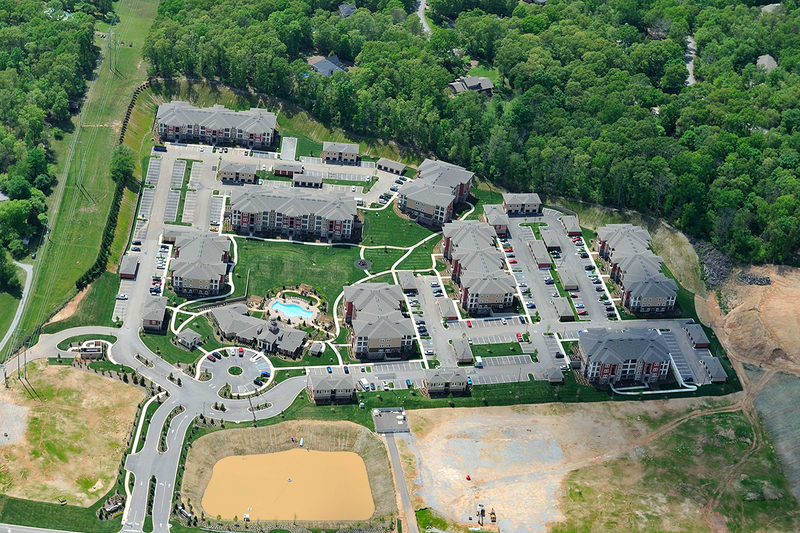 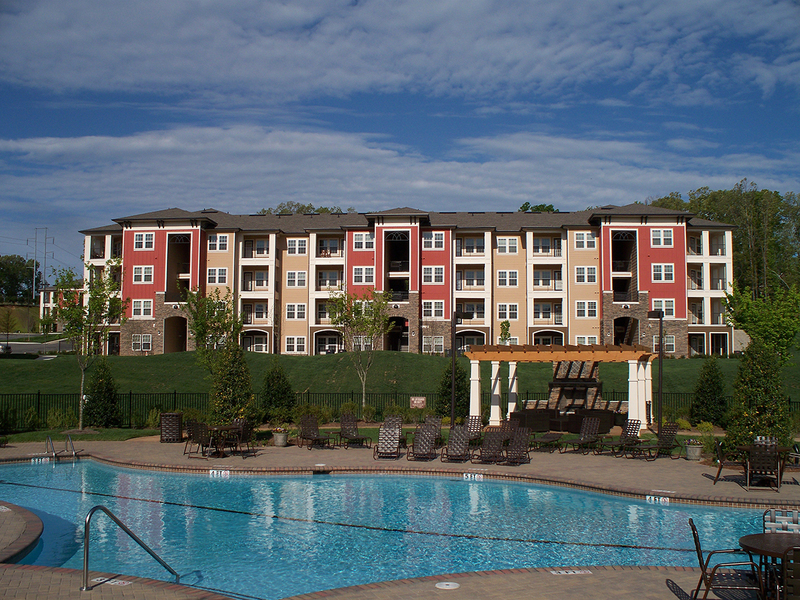 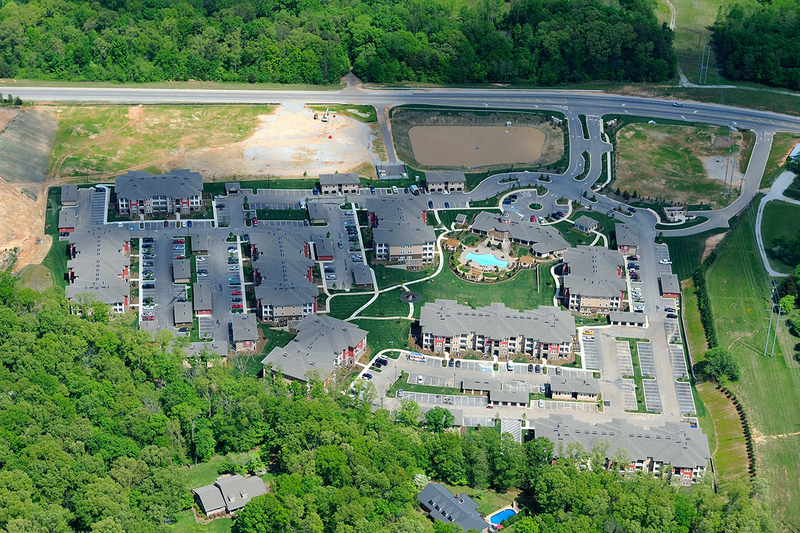 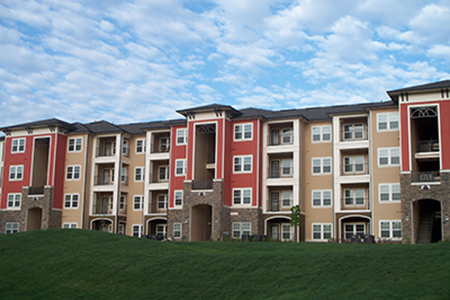 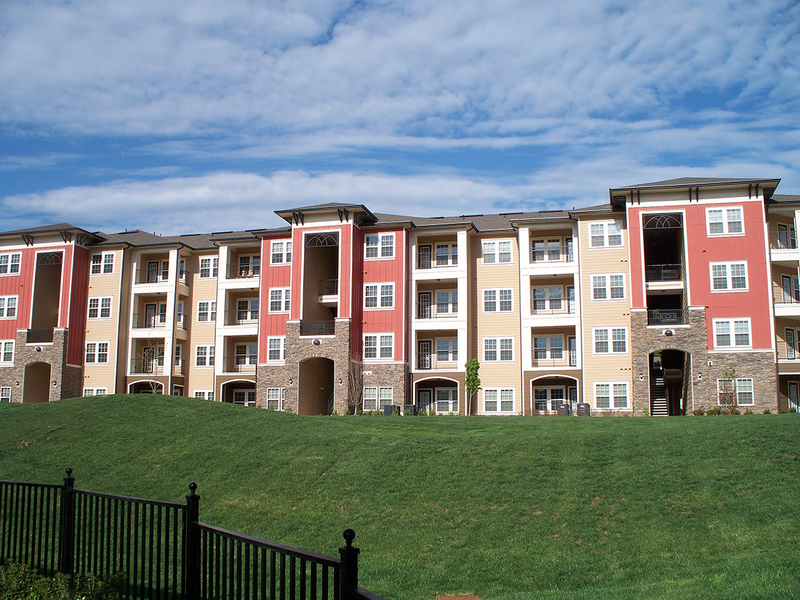 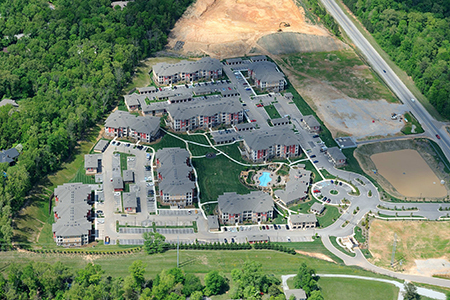 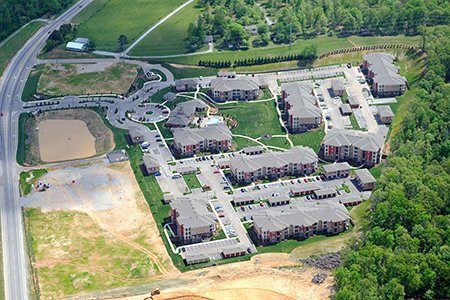 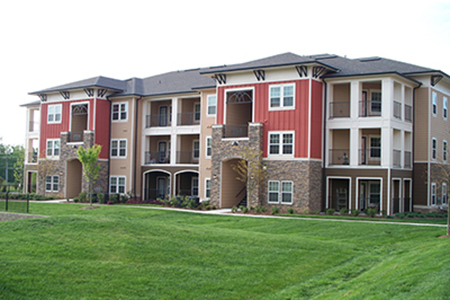 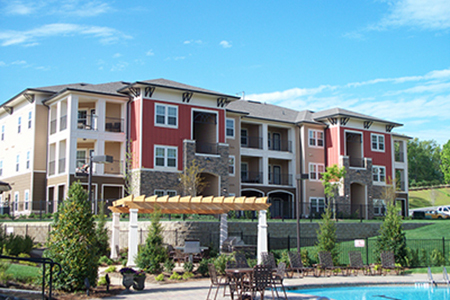 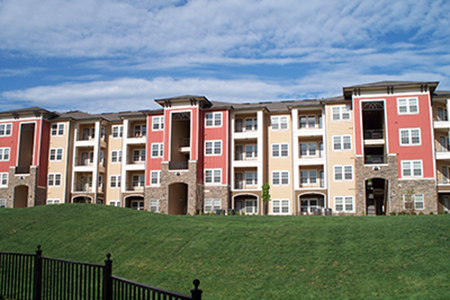 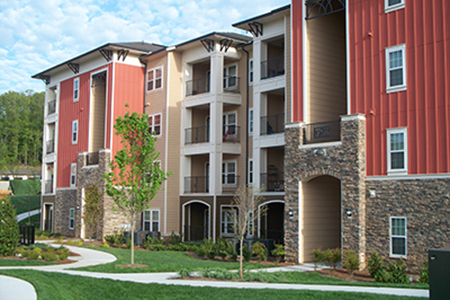 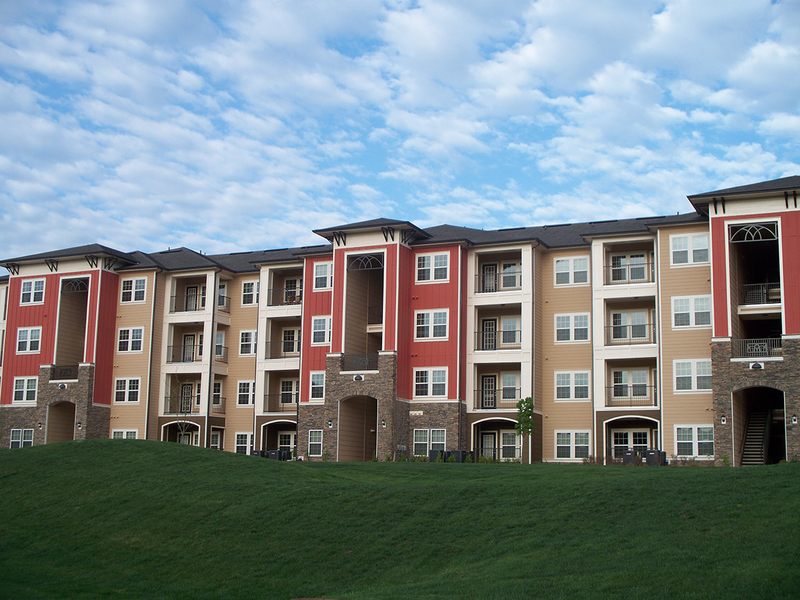 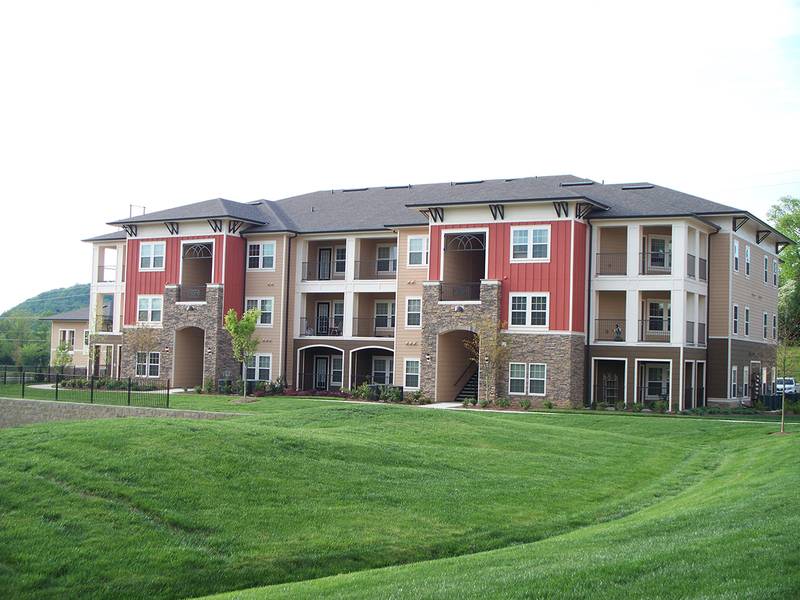 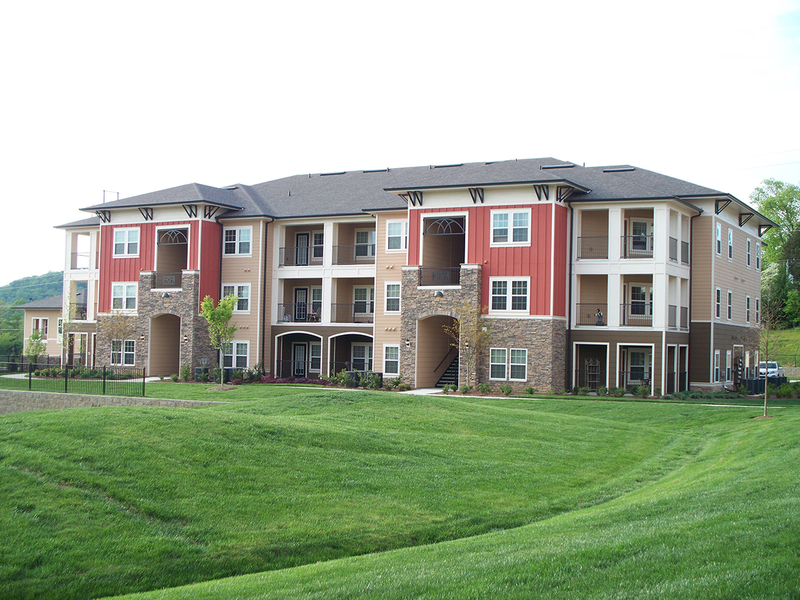 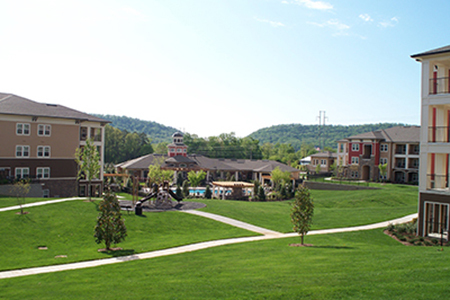 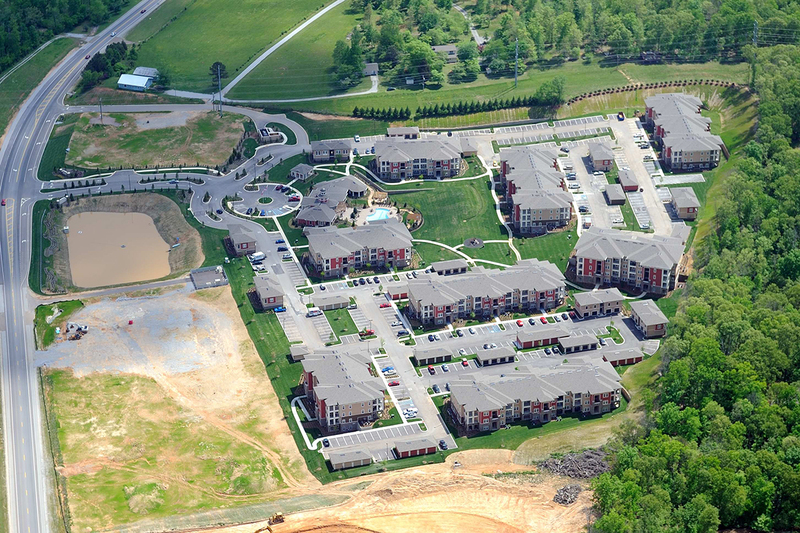 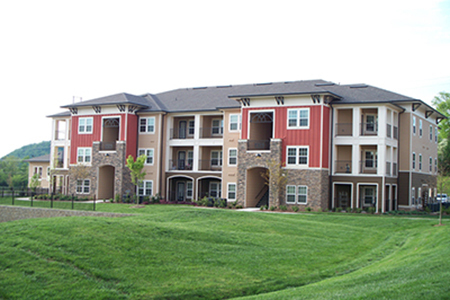 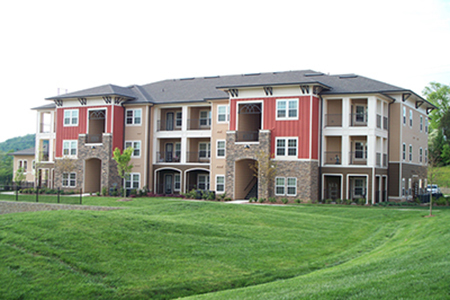 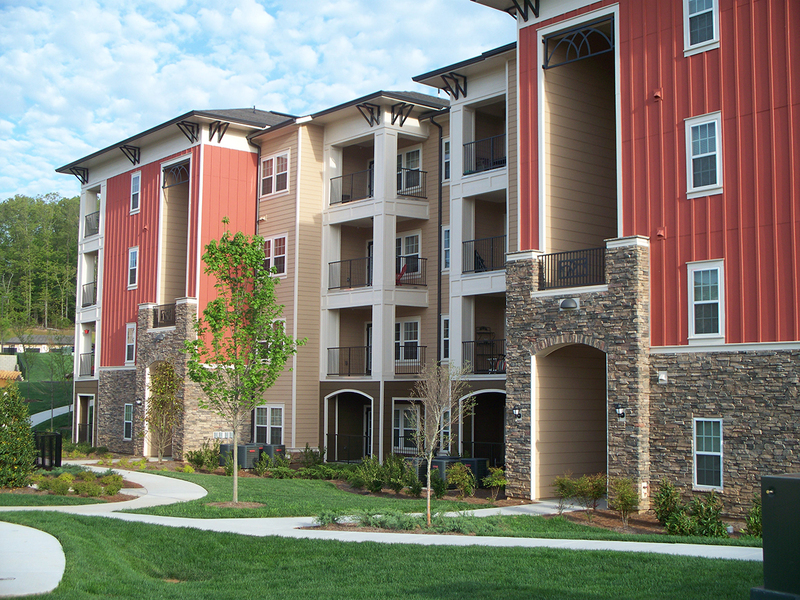 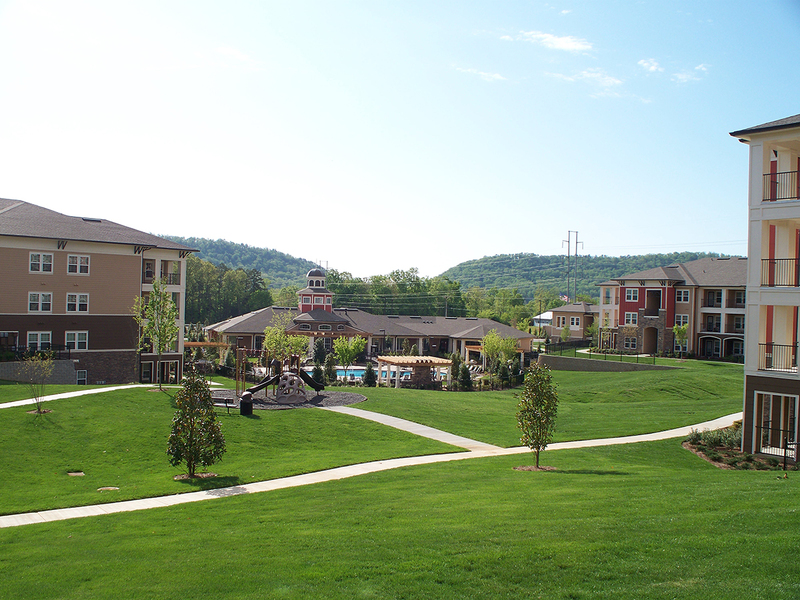 This community is 374,282 square feet and made up of 15 buildings. 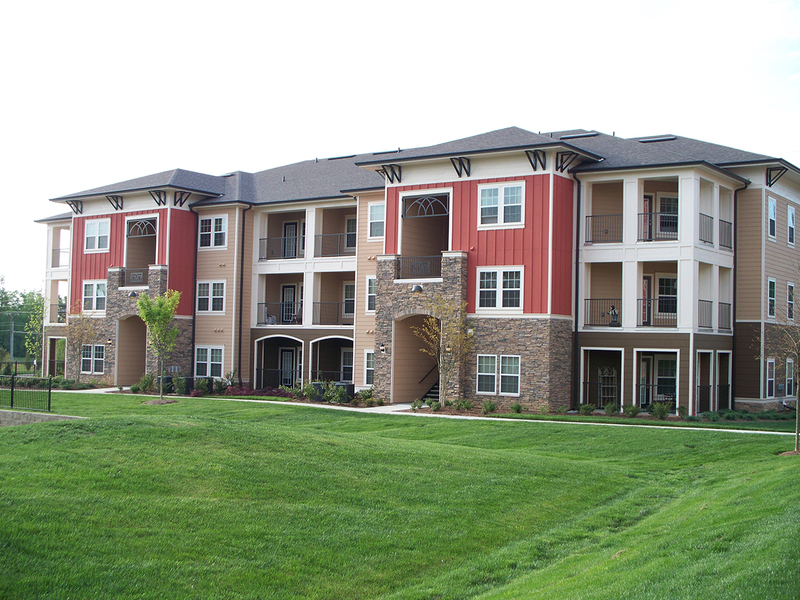 Interior features include 42" cabinets, crown molding, ceramic tile, French doors and garden tubs. 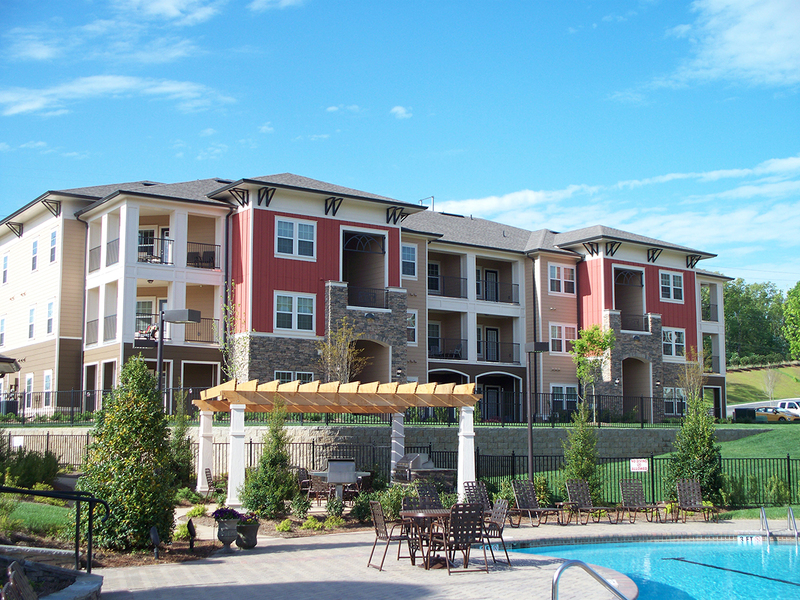 The exterior features include a rustic stone veneer. 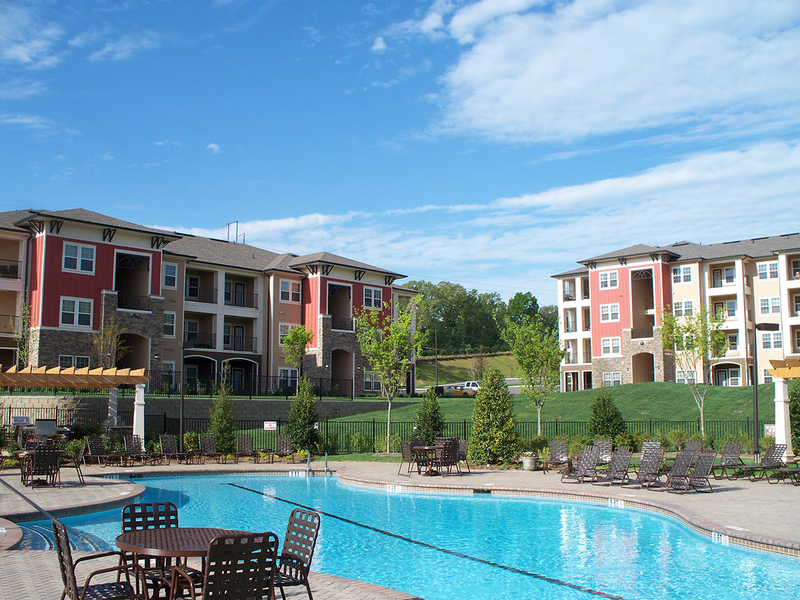 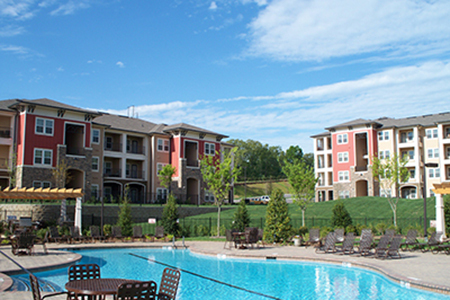 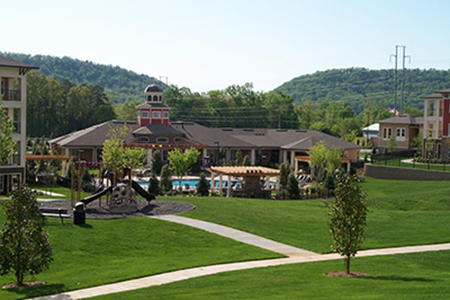 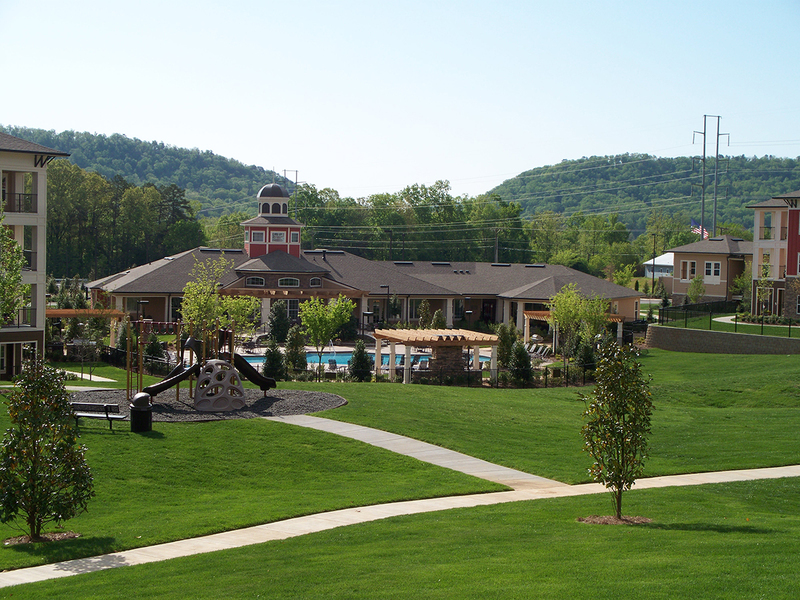 Residents are able to enjoy amenities such as a clubhouse with WiFi workstations, billiards, a fireplace, state–of–the–art fitness center, and a picnic area with grills. 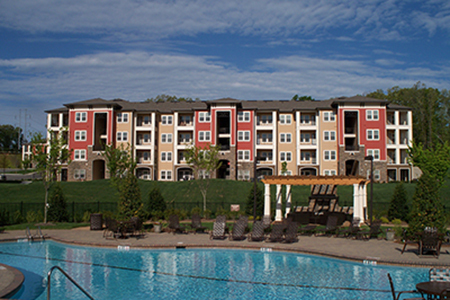 Residents may choose from five floor plans ranging from 852 to 1,427 square feet.